One of the realities of living in the 21st century is the need for 4 million new homes. The possibility of life in a new kind of settlement must be considered and brought into existence to satisfy this demand. With the imminent expansion of our towns and cities, endless sprawl cannot be seen as the only solution. Other options must be explored. The island urbanism of New Harmony East Sussex investigates an urbanism against sprawl. It takes the form of a dense micro-city of 2,000 inhabitants that becomes a monument to the definition of public space. 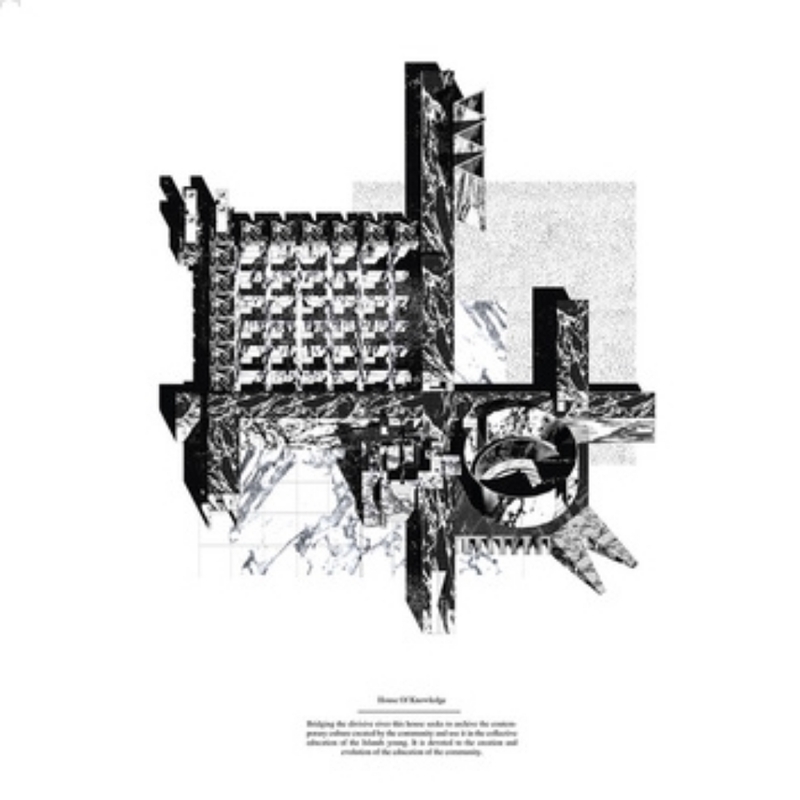 The project is inspired in principle by the formal characteristics of the walled city and the Dominican monastery: urban archetypes which act as containers for a condensed type of urbanism that prioritises social interaction whilst eliminating the infrastructural mechanisms of the city from the street. 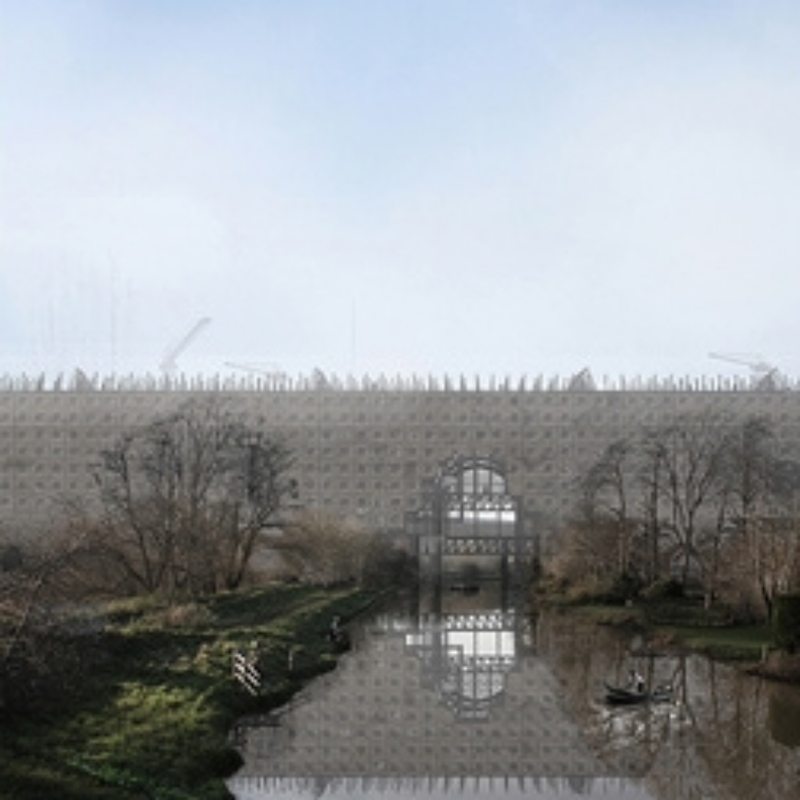 By taking Lewes as a site for testing this concept, the work investigates the collision between the city’s expansion into England’s rural landscape in order to question how a contemporary settlement can remain resilient against the damaging impacts of undisciplined, infinite expansion. The project imagines a settlement contained within one single architectural gesture – the building and inhabitation of a wall. The wall contains the necessary living accommodation for the inhabitants. The wall frames and emphasises the importance given to the public space within the settlement. Within the frame, pavilions scatter the landscape for the acting out of the social rituals.